I am missing something... or CDPR cheated on us?? According to OFFICIAL RULES and according to this link from 17 October 2018 A-glimpse-in-the-future-of-gwent-masters... to qualify to OPEN #8 you need Crown Points from 2 previous Season!!! So... if OPEN is in March.... we need points from JANUARY and FEBRUARY seasons.... not from DEC / JAN seasons!! I know you have a point in the rules [17.14] that states about " reserves the rights to change, edit, delete, add... etc etc"
but in there there is also a text that "CDPR will use reasonable efforts to inform participants when it does so"
goddam... you inform us only 3 days before JAN season ends!!!! all this new changes should have been informed to us BEFORE December season! Why all this misinformation CDPR? why the late changes? this is so damn unfair... you are a great company with a great game... but you care nothing about players who actually read the rules and organize their games and time to play by them! I lost my chance to play hard during february to get a chance to qualify to Open.... Im so mad/sad right now! Lost? February is the current month. I think what he means is, he was going to play hard in Feb to qualify and lost his chance to do it as the qualifications are now from Dec and Jan.
qualifier is always held one month before OPEN right? Their entire pro scene is a joke really. They just throw it together on the go. I feel bad for these people who wanted to try and make it to the open since now they won't get a chance until at least July or maybe even later. 50 people from Feb and March will count only to that silly qualifier. After that you have the Challenger in April and the Masters in probably June so those seasons won't count for much either. Half a year with no real incentive to play for all the try hards. Without them all you will have is casuals like me in the pro rank. This last season I basically just won 5 games to go up to around 1440 and then just insta forfeited the rest to fill my 40/40 quota on the last day of the season just to stay in top 500. And I encountered quite a few just like me who were quicker to forfeit which is how I know. If you want to see how you properly organize a pro season then look at Valve and DotA2. The calendar is set at the beginning of the season and all you need to know about the events and how to qualify is revealed months in advance. These dudes just posted 2 contradictory statements about three months apart. But it's all cool cuz they got dancing actors in costumes. I kinda feel for you, guys (devs and ~pros). Like a pinch, but still. 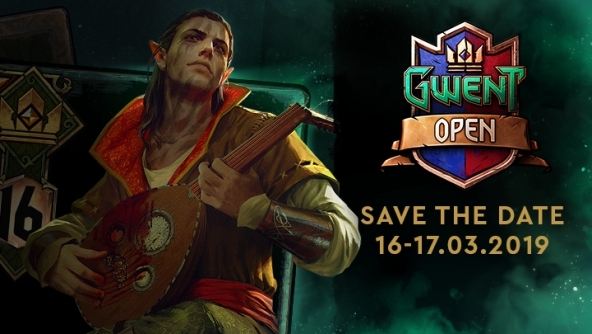 I played in the Gwent Open Qualifying. The first match lost 1 point, and the second 5 points only, that Trahean banned my Shupe. The matches were very even.